Investing through SIP is advisable. Avoid LUMPSUM. Reliance has come out with a New Fund Offer, Reliance Gold Savings Fund. Reliance Gold Savings Fund is a Fund of Funds., meaning your money in this Fund will actually be invested in another fund, namely Reliance Gold Exchange Traded Fund. And, this Fund in turn invests in Gold. An Exchange Traded Fund (ETF) cant be invested through Sip., and so is Reliance Gold ETF., and here's where Reliance Gold Savings Fund steps in. You can invest as little as Rs.100 per month!!! Can invest as little as Rs.100 per month. Long Term Capital Gains after holding period of 1 year compared to 3 years holding period in Physical Gold. 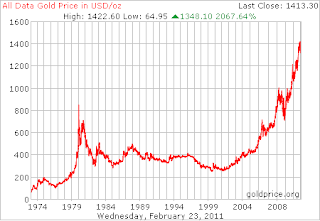 Very Liquid compared to Physical Gold. Being a Fund of Funds, charges could be higher. Gold ETF charges 0.75% whereas Reliance Gold Savings Fund could charge upto 1.5%. 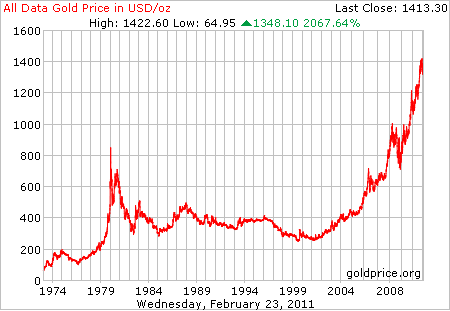 Equity has and will continue to outperform Gold in the Long Run. While "experts" are shouting about Higher Expenses, one should not forget that the Expense is fixed at 1.5% by SEBI and moreover, your SIP investment would be working at Rupee Cost averaging and will actually help you gain more than Gold Returns. (Just like a equity sip would give you more returns than a Lumpsum investment). Prudent Asset Allocation will tell you that you should have a 5-10% Gold exposure depending on your profile and based on this, you should decide how much you should invest in Reliance Gold Savings Fund (or whether you should invest at all). People in India tend to invest in Gold not as an investment, but more for creating a corpus for their children's marriage, for them, this Fund is God send. I would still stick my neck out and say that Equity is the Best Asset to Invest, especially if your Time frame is more than 5 years. If you want to have a Gold Exposure, then investing through SIPs in Reliance Gold Savings Fund is the BEST way to do it. Hi Srikanth,As I wanted to invest in gold fund,I revisited your artcle on Reliance gold savings fund dt.27/02/11.Is this fund is still relevent today or I should look someother fund.Kindly reply.Dr. J L Bansal.